Escalating incidence of poor child physical 1,2 and mental health 3 in Canada has now reached epidemic proportions. One in three children enter school developmentally vulnerable 4, one in four are obese or overweight 5,6, one in five have a diagnosed mental illness 7, and one in ten are addicted to technology 8. 3 out of 4 children are sleep deprived (National Sleep Foundation 2016) negatively impacting on mental, physical, social and academic performance. Autism is now 1 in 65 and adhd 1 in 5 for males (CDC 2016). Cancer incidence in teens has risen 25% over the past 38 years 9. What all these health issues have in common is they are caused by technology overuse, threatening the very sustainability of Canadian life and economy. Managing balance between technology and healthy activity is the first step toward creating sustainable futures for all children. Families, schools and whole communities can work together to increase participation in healthy activity thereby reducing use of technology, to ensure child health and wellness. Form your Balanced Technology Management Foundation Team now, and move your community effectively and safely into the 21st century. 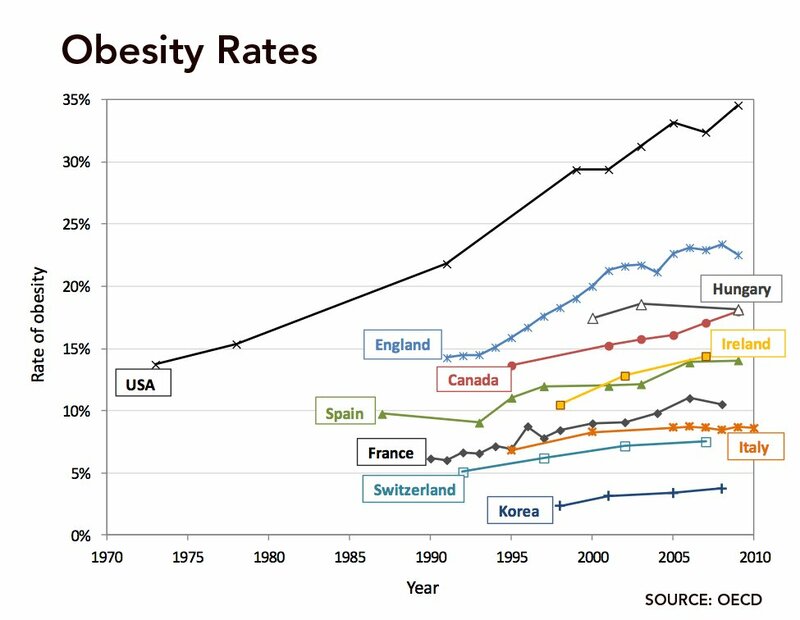 Obesity and Diabetes. Technology use is sedentary, resulting in increased incidence of early heart attack and stroke. In 2012, the New England Journal of Medicine reported that due to sedentary lifestyles, many children will not outlive their parents. Key findings indicate that over the past decade, there has been an 11% increase in the number of stroke patients between the ages of 20 and 59 in Canada. Dr. Patrice Lindsay, Director at Heart and Stroke Canada states “The reasons for the increase in strokes in younger people include access to more processed food, fast-paced but sedentary lifestyles, and a rise in obesity in young children leading to risk factors for young adults”. Due to increased number of younger people having strokes, stroke incidence will double in the next 20 years, posing a major challenge to the health-care system. Additional study states that 19-year-olds are as sedentary as 60-year-olds. Balanced Technology Management initiatives to improve child physical health might include enhancing gyms and playgrounds, creating interconnecting community bike paths, and removal of technology from community centres e.g. libraries. Exercise not only improves fitness and literacy, but also gets kids socializing and outside which improves mood and behavior. Mental Illness. Technology is overstimulating the brain and isolates children from human connection, and parents who overuse technology neglect their children, resulting in increased incidence of depression, anxiety, adhd, and autism. Key findings of mental health of children and youth in Ontario indicate that from 2006-2014, child/youth physician visits up 25%, emergency visits up 53%, and hospitalizations to treat mental health issues are up 56%, with most common mental illness being anxiety. Hospitalization for attempted suicide in children and youth has doubled during study period. Dr. Paul Kurdyak, psychiatrist with Toronto’s Centre for Addiction and Mental Health, attributes rise in anxiety and depression to social media stating “Social media is actually 24/7 scrutiny media. It’s relentless.” Romania recently released a public service announcement referencing research showing causal link between screen overuse and autism, as well as reversal of autism symptoms with removal of screens. Balanced Technology Management initiatives to improve child mental health might include disconnecting from technology and reconnecting to each other through improved participation in social activities including games, family outings, no-tech dinners, no-tech an hour prior to bed, and maximum of 2 hours per day combined technologies. Schools might consider restricting technology from recess and lunch, or banning personal devices as in Toronto schools. Sleep Deprivation. Unmanaged technology disrupts and reduces sleep, resulting in significant physical, mental, and academic impact. If children are allowed devices in their bedrooms, they will use them and their sleep will suffer. Studies show sleep deprivation comes at a high price including increased incidence of obesity, diabetes, high blood pressure, lowered immune function, irritability, reduced productivity, increased accidents, attention-deficit, poor memory, and depression. 73% of children ages 8-10 years are sleep deprived which explains soaring rates of attention deficit and concentration difficulties reported by teachers. Balanced Technology Management initiatives to ensure children get adequate sleep are for parents to follow Canadian Pediatric Society sleep guidelines listed below. Teachers and health professionals should include these guidelines with student report cards, as well as openly discuss sleep with students. Age 1-2 years: 11-14 hours per night. Age 3-5 years: 10-13 hours per night. Age 6-12 years: 9-12 hours per night. Age 13-18 years: 8-10 hours per night. In 2011 the International Agency for Research on Cancer at WHO categorized wireless radiation 10 emitted from cell phones, tablets, routers, cell towers etc. as a Group 2B (possible) carcinogen. The U.S. Federal Drug Administration’s National Toxicology Program preliminary findings released in May 2016 showed increased incidence of cancer 11 in male mice and rats following 10 hour/day wireless exposure. Recent systematic study of cancer epidemiology 12 research demonstrated 1.33 times greater brain cancer risk with cell phone use greater than 10-year duration when low quality or biased studies are eliminated. Until proven safe, the Environmental Health Trust’s Precautionary Principle 13 calling for removal of wireless radiation from schools must be applied. Balanced Technology Management initiatives to protect children and youth from harmful wireless radiation are to not allow children under the age of 12 to use wireless devices, not use wireless devices within 20’ of children, go wired whenever possible e.g. plug device into Ethernet cable, turn off router at night in homes, and remove all wireless from schools. Please see Wireless Radiation 101 for additional information. For additional information on Balanced Technology Management, please visit the Zone’in website BTM section. To form your Balanced Technology Management Foundation Team and liaise with other BTM Teams, please fill out the BTM Foundation Team Application Form. This article was written by pediatric occupational therapist and author Cris Rowan who is passionate about changing the ways in which children use technology. Cris can be reached at crowan@zonein.ca. Jackson, D. M., Djafarian, K., Stewart, J. & Speakman, J. R. (2009). Increased television viewing is associated with elevated body fatness but not with lower energy expenditure in children. American Journal of Clinical Nutrition, 89, 1031-1036. doi:3945/ajcn.2008.26746. Gentile D. Pathological Video-Game Use Among Youth Ages 8 to 18. Journal of Psychological Science. 2009; 3(2):1-9.